Find of the season! Aqua chalcedony earrings from the Sitara Collection - Susan Said... WHAT?! I have always thought of India as a land of mystery and breathtaking beauty. The Indian culture is so wonderfully colorful and vibrant… frankly, I think we all should adopt citrus-hued saris and armfuls of gold bangle bracelets. Stunning! I have some friends who actually moved to India not long ago to start a charitable foundation, adopting schools in Yellamabanda, Siddiquenagar, Maktha, Pappireddynagar and Gowdavally. And, every week I enjoy the many photos of the students and teachers in traditional garb, intricately hand sewn and hand embroidered. And of course… the jewelry! In India, jewelry is more than simply adornment. Gifts of jewelry traditionally mark different phases of a woman’s life such as birth, coming of age, marriage, or becoming a mother. And lucky me, this spring I will be wearing some of the most beautiful Indian jewelry from Sitara Collections, made by highly skilled artisans! 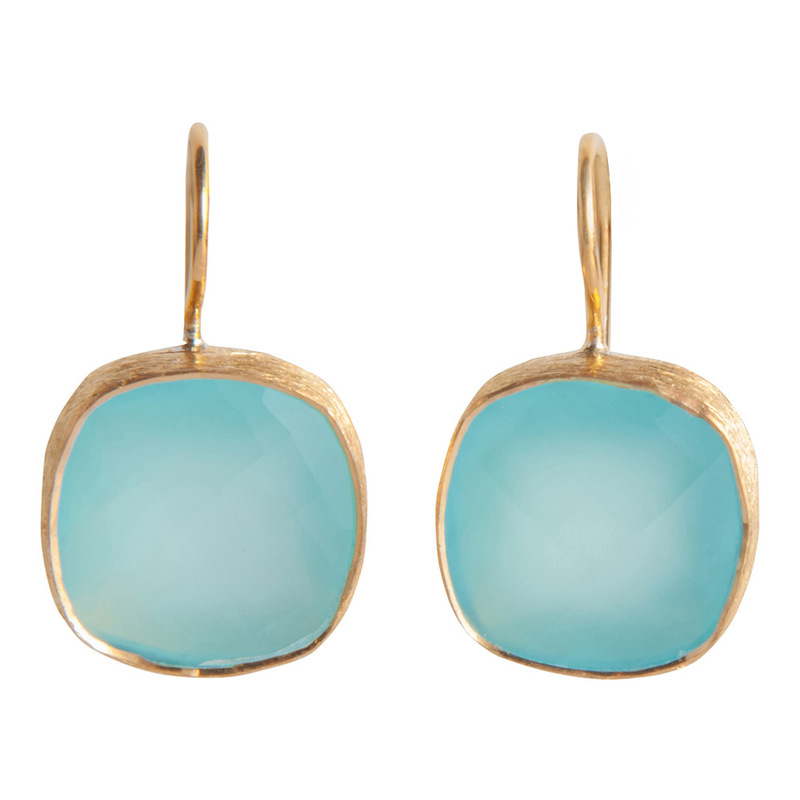 The aqua chalcedony (pronounced “kal-said-knee”) earrings, pictured, are just one of the many striking designs available at Sitara. The faceted natural stones are a vibrant blue, which is highly prized, since most blue chalcedony is actually more gray than blue. The shade is beautifully enhanced by the warm gold, brushed texture which covers pure sterling silver settings and hooks. These earrings have exotic elements, but are simple in design (unlike some of my over-the-top chandelier style faves). So, they can be worn with almost anything. In addition to the lovely aqua chalcedony, the same style is also available set with Rainbow Moonstones, Green Amethyst, Green Onyx or Smoky Quartz. Retail: $88. But, one of the most exciting things about these earrings — and the entire collection by Sitara — is that the company is dedicated to giving back to the region that has given the world so much beauty. Sitara contracts with Indian artisans who are paid fairly for their remarkable designs. This also allows the artists to keep traditional craftsmanship alive, while working from their own villages. I am always inspired by such generosity of spirit! To see the more gorgeous pieces (Warning: you will want them all! ), visit Sitara Collection. PHOTOS: Used with permission by Sitara Collection. DISCLAIMER: No financial compensation was received in exchange for this post. I did, however, receive a promotional sample of the earrings mentioned above in order to fully evaluate the product. Regardless, I only recommend products or services I believe will be good for my readers. That's a wrap! The new Chilly Jilly is the ultimate scarf, wrap, sarong...and more! 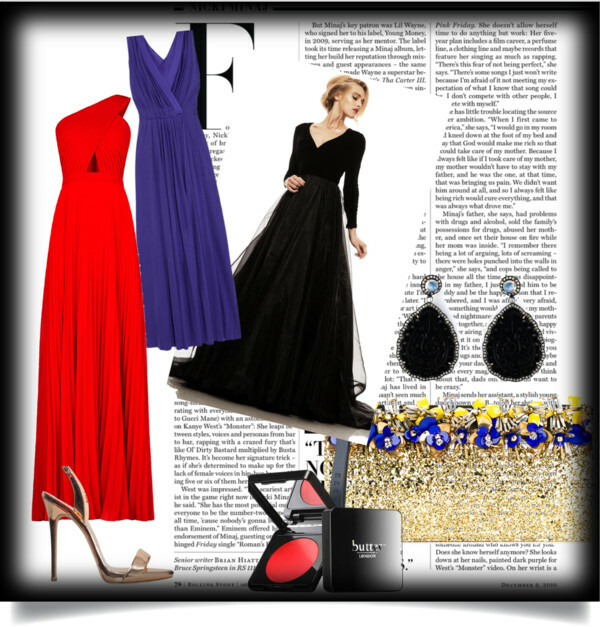 The Lady in Red ... get noticed this season! I'm mad for this festive plaid scarf! Separator image Posted in WOMEN'S FASHION and tagged with earrings, Indian jewelry, Sitara Collection, spring fashion 2016, Susan Conforte, Susan Said What?!. #1 trick for perfect selfies? 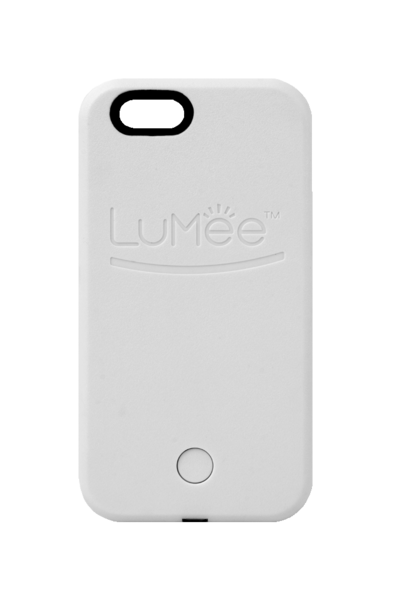 LuMee Light-up Phone Case!